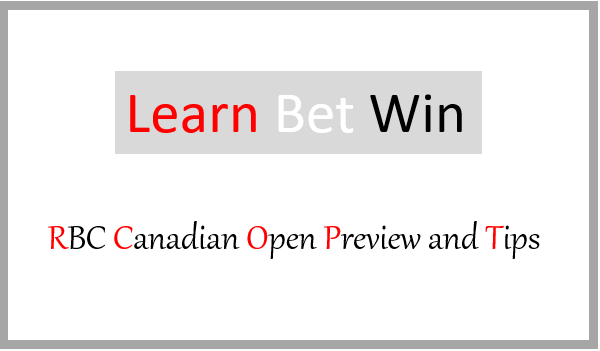 A guest post from my brother Ciaran Meagher previewing the RBC Canadian Open. A very exciting, if ultimately slightly disappointing week just gone, with Jordan Spieth or Tiger Woods unable to get the job done from promising final round positions. Having staked 58.6 points, we returned 51.9, but that did promise to be quite a deal better for most of that final round. No point crying over spilt milk though, it’s a sport that will certainly infuriate gamblers more than any other, but that’s part of the beauty! A massive positive has to be taken from the performance of Woods. The worry going in that he maybe needed a win under his belt before being ready to close out a major, came to the fore when he derailed for a period from the 11th hole. He’s very close though, and though no one is ever guaranteed to win anywhere again, it does now seem a matter of when not if for Tiger. 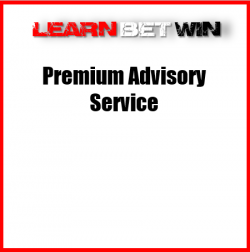 Onto this week, and a cameo appearance on Learn Bet Win. My one other Preview for the site ended in Rickie Fowler bringing home the bacon for us in the Hero World Challenge at the end of last year. So let’s hope for a repeat. This week sees me look at the PGA action which comes to us from Glen Abbey Golf Club, and the RBC Canadian Open. A 7250 yard Par 72, it was taken apart last year by Jhonattan Vegas, who went back to back with a winning total of 21 under par. I don’t think this year will play as easy, with more wind forecast and the fairways nowhere near as soft. Winners the like of Vegas, Jason Day, Vijay Singh and Tiger Woods suggest that longer hitters may be the way to go at Glen Abbey, backed up by the fact Dustin Johnson, Bubba Watson and Tony Finau have gone close in recent years. But successes for Brandt Snedeker and Chez Reavie suggest the plotter can certainly have his day here too. Dustin Johnson typically heads the market, and for the week after a major coming at one of the busiest times of the year, it’s certainly not a bad field. DJ’s missed cut at Carnoustie was his first since last years US Open, a fine record in itself. I suggested DJ was one to be wary of coming in off a 4 week break such as was the case last week, and playing here is certainly a positive to his chances in the upcoming WGC and US PGA. His 3 most recent appearances at Glen Abbey have produced two runner up finishes in 2013 and 2016, and comes here off another top 10 last year. He clearly has the game to tame this weeks layout, but with still limited recent tournament time under his belt, I envisage another promising finish akin to last year. At around the 13/2 mark though, you would want all the ducks in a row to be getting involved, so as much as he is a deserving favourite, he’s not for me here. Brooks Koepka was very up and down at Carnoustie last week, but such was his game plan, that is probably none too surprising. He showed enough to suggest that he is very much still in form, and will be a danger to all wherever he shows up in the coming months. At 12/1 though I do feel he is probably short enough here. Next in the market is my old friend Tommy Fleetwood. Regular readers will know that I think Tommy is getting too much respect from the market at the moment, and I view it no differently here. Though Glen Abbey isn’t one of the tougher tracks on Tour, with the winds set to be up this week, I do feel a bit of previous knowledge will be quite valuable. Tommy debuts here, and is sure to have used up quite a bit of emotional energy last week. Only Jason Day and Brandt Snedeker in the last 10 years have been in anyway competitive at The Open before claiming Canadian glory the week after. Tommy was in the media eye since landing in Scotland, and I wonder will he on full throttle here. At just 16/1 he is again of no interest to me. One who would have been of interest if only had been slightly bigger in the market is Tony Finau. He landed us a confident Top 20 selection at 7/2 last week, and but for putting pretty woefully for most of the 4 days, could have garnered us more than that. He had it on the proverbial string for the vast majority of the week, Fridays round in particular, but just couldn’t convert any of the many gilt edged opportunities he had carved out. If he brings that level of ball striking to Glen Abbey, then it is highly likely he will be thereabouts again. 5th here last year, having learned plenty form his first two outings, he has to be high on the list of potential winners. 16/1 is just a bit short to warrant a financial interest though. One player who stands out as being very much overpriced though is 2013 winner BRANDT SNEDEKER. I will ignore the 50/1 being offered by Unibet, as they are alone at that price, but I feel anything from 33/1 or up is very much worth availing of here. I have alluded in the past as to how Sned is very much a player who will flag up an imminent win with a top class performance beforehand. He arrives here off missing the cut in Carnoustie, but prior to that had been a very promising 3rd at The Greenbrier, firing an eye catching 64 to conclude his week. I always find it easier to forgive a missed cut on the links, and prefer to concentrate on the positives of the week beforehand. Not only has Brandt won here before, but he also finished top 5 in both other visits. That 5th place finish in 2016 really could have been better, as he simply couldn’t buy a putt on Sunday evening. A poor putting display is very much the exception rather the rule for Snedeker, and coming here with early season injuries now condemned to the past, he has every chance of collecting his second Canadian Open. A missed cut at The Open has preceded wins for Vegas and Sean O Hair here, and alongside his win at this event Brandt has accumulated plenty of other high finishes in the weeks after majors. I can see him going very close here. Of the others towards the head of the market, Bubba Watson was very tempting. Second here to Jason Day in 2015, he is enjoying an excellent 2018, with 3 wins already on the board. Again, a missed cut last week is of no concern, Bubba simply isn’t cut out for links golf. Early shows of 25/1 have dried up though, and with his inconsistency a bit of a worry, I just prefer a couple of others at the prices. One player without a win yet this year, but very much now knocking on the door, is CHARLIE HOFFMAN. 12th at The Masters, and with Top 20s at both the US Open and last weeks British Open, he is now bringing his game to the next level. The latter two coming either side of a 15th place finish at The Travelers, his game is very much trending towards a win. I don’t think he will get a better chance to land that W than here this week, and 25/1 represents a worthy wager in my opinion. 16th when Snedeker was successful in 2013, he bettered that with a 7th place finish in 2015. Last year he went as close as one can get, when ultimately losing out in a playoff to Vegas. Ahead of that runner spot last year, he had also finished in 20th at Birkdale, a very similar warm up to this time around. It’s a time of year Charlie has consistently produced some of his better golf, and he could launch a Fedex Cup assault by claiming glory here. Johnny Vegas obviously loves the place, but hasn’t been showing enough recently to warrant backing at a third of the price of last year. Runner up at last weeks B Game in the Barbasol, Billy Horschel can often string top performances together. He didn’t inspire though here in 2013, and I prefer a couple more at bigger prices. Another former winner I want onside this week, is CHEZ REAVIE. That win came back in 2008, when Reavie held off the attentions of the then ‘next big thing’ Anthony Kim to land his maiden PGA victory. He hasn’t added to that sole win since, but the past 6 months has seen the Kansas man bring a new consistency to his game. 10 Top 25 finishes in just the 23 outings this year, is an excellent return for one of his typical starting price. Runner up finishes at both the Phoenix Open and Pebble Beach show that Chez can indeed mix it with the best in the business. Glen Abbey is a track where you need to remain aggressive, and in that respect offers much similarities to TPC Scottsdale which hosts the Phoenix Open. With narrow, tree lined fairways facing the players off the tees, Reavie’s ability to consistently find the putting surface from the rough is an undoubted positive here. His form has tapered off to some degree of late, but that has helped his price no end. His missed cut at Carnoustie offered much more promise than the outcome. An excellent 69 on Thursday was undone by a horrid back 9 on Friday, yet still only missed the cut on the number. He has shown in last 4 visits here that Glen Abbey really is a layout that fits his eye, with finishing positions of 31/41/14/23. Starting at upwards of 100/1 for all of those, he would have outperformed his expected finishing position in all. A much improved player this time around, who now feels like he belongs, he can give a very good account this week in my opinion. Another 100/1 shot worthy of investment is DAVID LINGMERTH. He’s been a busy man of late, but showed no signs of that hectic schedule catching up with him last week at The Barbasol with an excellent tie for 15th. Always at his best on these Classical style layouts, he has shown his love for Nicklaus designs with his sole PGA win coming at The Memorial in 2015, and then a runner up(very unlucky) finish behind Jason Dufner at the CareerBuilder Challenge in 2016. He has had a somewhat disappointing 2018 to date, but a return to a track where he threatened to win at in 2013 could well reap rewards. He started the final round then only a shot behind ultimate victor Snedeker, but a Sunday 65 saw him fall just outside the Top 10. A much improved player since, his 23 birdie display at The Barbasol last week suggests he may closer to rounding that corner than his tournament odds here suggest. My final outright selection is a player who acheived little when I last put him up in the John Deere two weeks ago. DANNY LEE was disqualified when out with the washing on that occasion, but it can pay to stick with such players at inflated odds when you feel they are close to producing their best. Richy Werenski, who I also put up there proved just that last week when second at The Barbasol. There has been enough sporadic bursts of form of late to suggest he can get back to where he was for an excellent Top 10 at The Players only 10 weeks ago. 4 rounds in the 60s at both the Travelers and last week at The Barbasol, suggest he is close enough. It’s a time of year where he burst to life in 2015 with 4 Top 6 finishes in 4 stateside starts, including his sole PGA Tour win to date at The Greenbrier. He has identical finishes of 32nd in both his outings here to date, and now he has served his Glen Abbey apprenticeship, something better may be in the horizon this week. I would generally have at least a couple of recommendations in the Alternative Markets, but the bookies are very slow out of traps on that front this week. As such there is only one other bet that interests me, though it is a very confident one. CHARLIE HOFFMAN arrives in here having bagged Top 20 Finishes in his past 4 starts, all in much tougher fields and with far more strength in depth than he faces here. He has proved his prowess around Glen Abbey, and everything looks very much in place for him to once again contend. Gun to my head as to whether he will notch another Top 20 or not, I would be firmly in the ‘Yes’ camp. As such I view odds to 6/4 to be excellent value. I would take anything evens or above. This year has been slightly disappointing, with many weeks akin to last week at Carnoustie where the expected returns going into the final day, did not equal actual returns. Such is golf betting though, and I am confident of continuing to return long term profits. If you like what you have read here, and are interested in signing up for the remainder of this year, or indeed next season, please get in touch through email(mazza.meagher@gmail.com) or DM on Twitter(@CiaranMeagher3). Previews are €5 each(no extra for major weeks), and will typically feature Outright advice along with 3-4 Alternative Markets, which can be up to 6-8 in Major weeks. There are 5 tournaments left which I will preview this year, the USPGA and the 4 Fedex Cup events, and these can be collectively acquired for the special price of €20. Hopefully some of you enjoyed the above piece, and garner some profit from it. Last updated by Declan Meagher at July 24, 2018 .